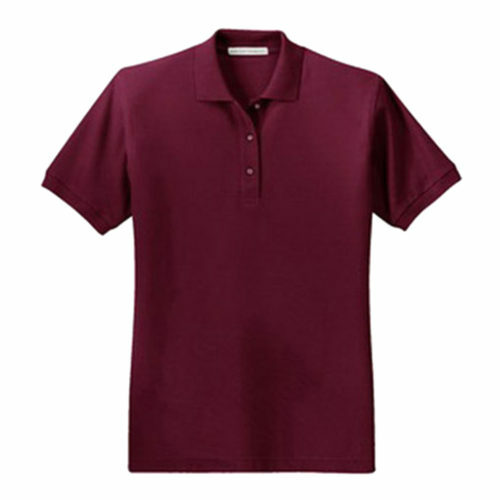 Four button placket short sleeve polo. 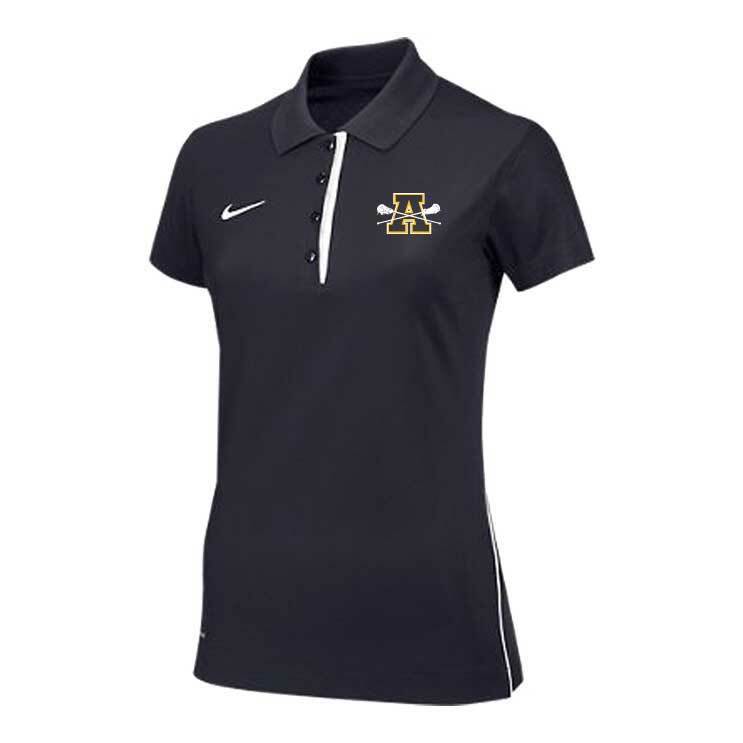 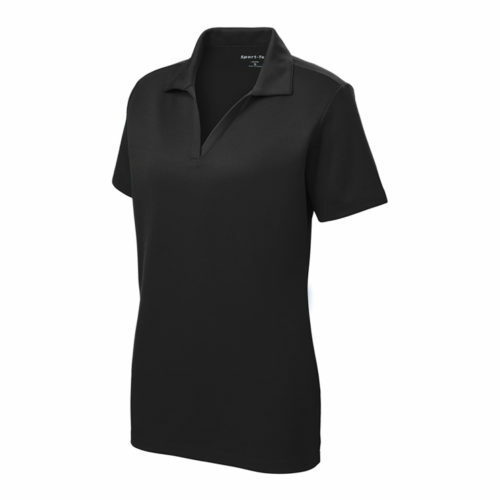 Dri-Fit fabric for moisture management. 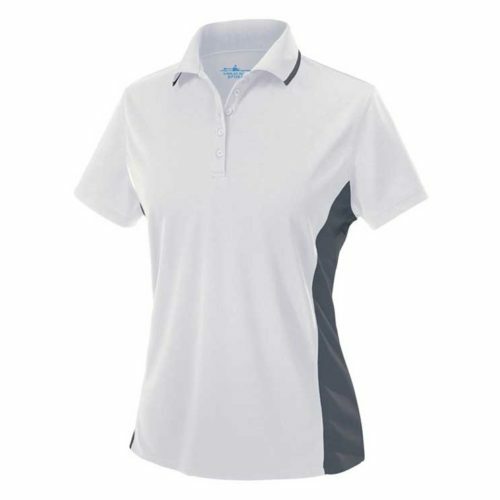 Self fabric collar with white color blocked piping along placket and side seams. 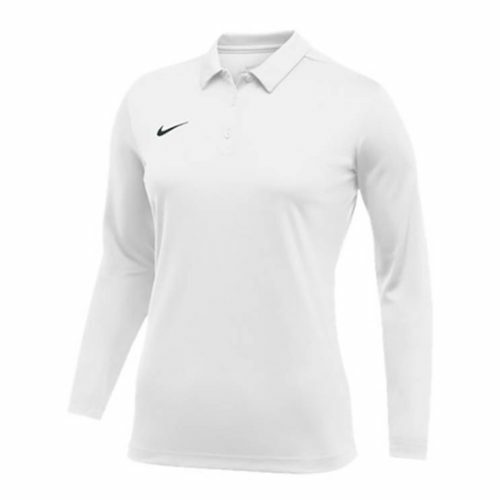 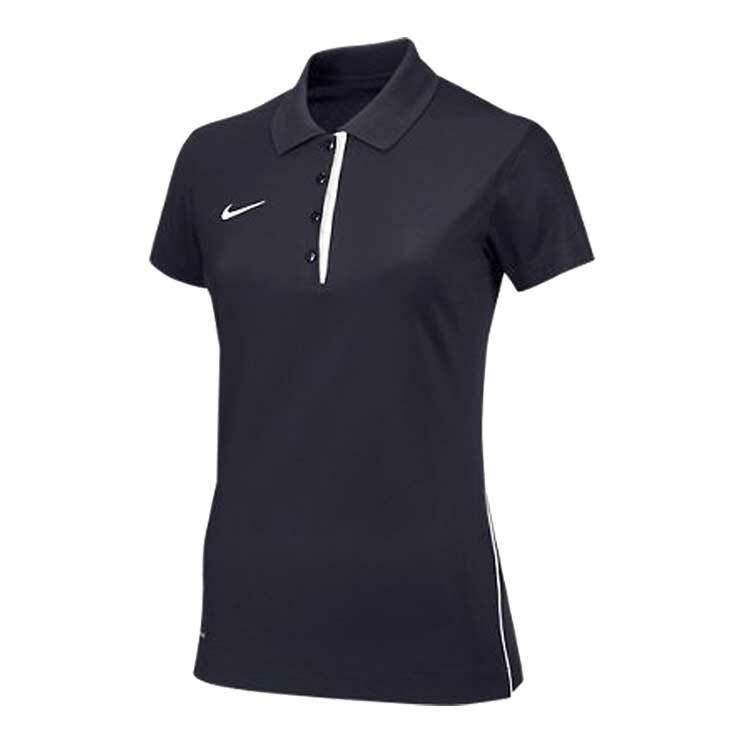 Swoosh design trademark embroidered on right chest.